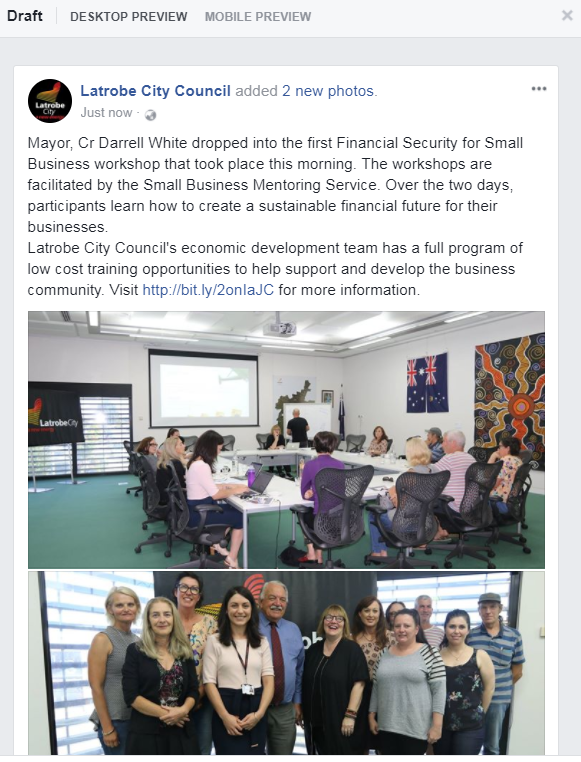 A surprise Facebook post popped up after my visit to the Latrobe City Council offices. 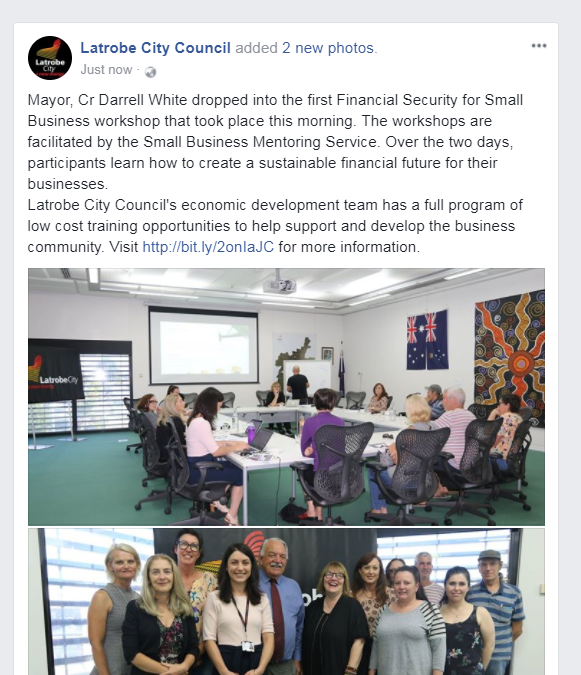 The photos, taken during the “Financial Security for Small Business” workshop I was facilitating in March 2018, included when the Mayor, Cr. Darrell White dropped in. The workshops run over two days, 4 weeks apart, where participants learn how to create a sustainable financial future for their businesses. They are supported by the Small Business Mentoring Service – SBMS, of which I am a member, hence the gig.